In order to differentiate between truths and lies, one must first have a very clear idea as to what exactly is the truth. To ‘call a cat a cat, as our saying goes, is not so easy, according to the affection you happen to feel for this animal, because a dreadful Tom and an adorable kitten are both cats, just as the same story related in good faith by ten different witnesses results in ten different stories. At least half our contemporary habits are designed to camouflage the truth, from up-lift bras to tinted foundation creams. All the newest materials are imitations, some of wool, others of silk, still others of leather, marble or wood, in fact I don’t know of any which has an identity of its own. As for advertising, which promises passion and romance to women who use a certain washing powder, let’s be charitable and not develop the subject any further? 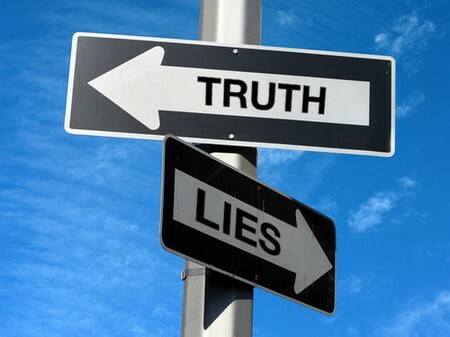 In short, we live in a world of lies and it is only natural that our behavior should be affected by the fact. All social life is based on etiquette, which is nothing but a permanent lie. At what point then does it become a sin to tell a lie? When it is slanderous, or when the lie is told with the intention of causing harm? 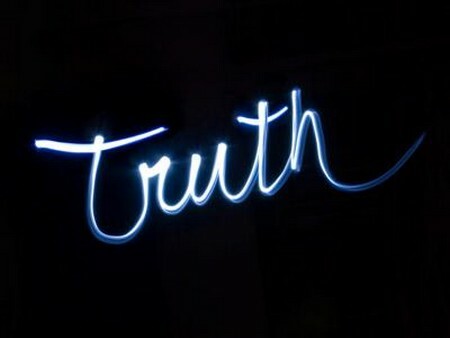 Certainly, but also when an unnecessary truth can only wound. What is the good of revealing to the man who loves you that you have had x lovers, that the little son whom he adores is not his own, that you hate his mother, that you only married him for his money, etc, is it to ease your conscience? Nonsense. If you do it, it can only be with the intention of making him suffer. You say with an innocent air that you don’t know how to tell a He. As a matter of feet, lying does require a certain amount of imagination and a good memory. All right then, instead of causing harm with painful truths, since you are no good at acting, you can start by never doing anything you cannot freely talk about. Some people are such good liars that they even lie to themselves. Perhaps they are thus less bored than other people, and perhaps it is an easy way to avoid being too unhappy. I once knew a charming woman who, when she bought herself a sheepskin coat, wrote on the stub in her cheque-book which nobody else would ever see, since she was a widow: ‘For Beaver Coat.’ During the war this same woman used to serve ordinary packaged biscuits and call them petits fours’, and she said that her son-in-law owned an ‘enormous’ Peugeot 403 (the Peugeot company would surely have been interested to learn that its assembly-line cars could thus increase in size at the buyer’s will!) Although it inspired smiles this obsession caused no harm to anyone, and it even became a sort of heroism for, when this same lady died of cancer after horrible suffering, she pretended until the very end that she was unaware of the imminence of her death, in order to avoid painful scenes. The lady was my mother. While all truths may not be good to tell, childish lies are simply stupid and as such they do nothing to make life any easier. You’ve burned a hole in your husband’s beautiful shirt? Dash out and buy another one instead of placing the blame on a faulty iron. You’ve broken the ashtray he was so fond of because it was a gift from his pals in the Artillery? Tell him about it at once, show him how terribly sorry you are – but don’t add that it was an awful eyesore anyway. And don’t balance the broken fragments together in the hope that he will make it fall himself. Train your children to tell you about all the little damage they have done, and punish them only if they conceal it. In my profession I have learned that it is better business to tell the truth than to tell a lie, for the woman whom you have outrageously flattered will eventually find herself face to face with her mirror, her husband, and especially her girl-friends, and the latter will certainly not hesitate to tell her that at her age she looks ridiculous in an apple-green miniskirt. Personally, I am always distrustful of commercial or feminine compliments, and the only one that is worth anything to me is the long, uncompromising stare that takes in every detail of what I am wearing. The day I no longer receive that, I shall retire to the South of France, I shall eat cakes all day long, and, like Madame de Castiglione, I shall veil all my mirrors.